Now is the best chance for megpoid to make a number one finish in the Vocaran this week. But she’s got some competition that could make things tough. All this plus a new Rolling Girl Chorus in this weekend’s spotlight. Hey everyone, red2 taking over for JM this week. He’s got other things he has to take care of, so I suppose this is the first ever guest-hosting of the Weekend Spotlight! First off, let’s talk about the main runner, megpoid’s new tune from DECO*27. They’re calling the matchup DECOGUMI or GUMI*27, but whatever you call it, I call it awesome. However, CosMoP has issued yet another comedic piece that always has people flocking to view. Will CosMo or DECO*27 make it to the top? 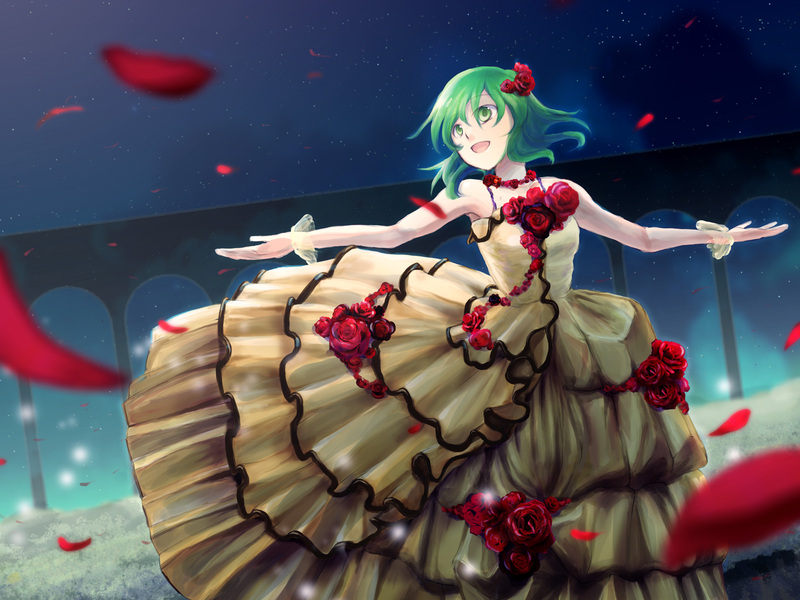 Dunno, but I’m hoping for the best for GUMI. And to finish off the article, as promised, a new Rollin Girl Chorus, featuring my main man, SquaDus in a bi-lingual compilation. That’s it for me today. Hope you liked my guest appearance. It’s up to JM now to decide if I come back for more. See you all on Monday’s Vocaran! i LOVE ALL THE VIDEOS. Looks like a good week.